Thank you, this is my favorite part of the show. 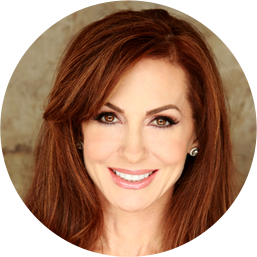 In this part of the show I'm going to take questions from the audience and help you integrate all this information into what you can do day in and day out to really make a positive difference in your life, especially with your health. Dr Daniel Amen:	Okay, first question. John:	Hi Doctor Amen, my name is John. I wanted to say first of all, thank you very much for the program. The information is super, and your passion is obvious. I do have a question. Speaking as a person who never met a doughnut he didn't like, I have an addiction to square round cheese crackers, and there's so much information that came, my perception is it can be a long hall, so what recommendations do you have as far as absorbing the material and words of encouragement that you have for those of us that will be traveling on this? Dr Daniel Amen:	You know, John, thank you so much for asking. I've actually never met a doughnut I didn't like either. I love those cheese crackers, the problem is they don't love me. I can lose control with them and that's not what I want. It's why I tried to make these 10 steps, it's like this is not hard. But, the problem with most people, I think, is they never think about the brain, so no one is ever thinking about the level of omega three fatty acids in your blood. They're telling you to eat less when you feel hungry, all the time. No one’s measuring your vitamin D level, which is just absolutely essential to helping turn down that apatite monster in your head. If you do the things that I told you, and the first thing is know your BMI, and that will horrify you. That is a good thing! Some anxiety is good! A lot of people go, "Oh, let's just chill out and everybody be happy, and don't be anxious" and it's like, no you need to be anxious. If your goal is not to be suicidal. If it's to live a long time because you have work and you have people you care about, it's like, "Oh my goodness, I need to get serious about this." So if you do the program step by step, what I've seen, is it works. It works for our NFL players, it works for me, it works for people I'm close to. I know this will help you, but one really critical point is you do not need to think about this as, "I'm going to do this for 12 months." You need to think, "I'm doing this for the rest of my life." And with that, you'll see the pounds come off, you'll see that you used to get into pants ... If you looked at mine ... In doing the wardrobe for the show, I was at fashion island, and I'm in the men's store there, and I put on a size 30 jeans. I've not worn a size 30 jeans since I was 18 years old. The guy there, Mark was his name, he said, "You're going to have to go to the boy's department." Now, I told him when he handed me the 30, I said, "You know, I'm not sure I'm emotionally ready for this." And that's a very important point, because a lot of people when they lose weight, they're actually not emotionally ready for what's going to happen. Especially true for women, because now all the sudden they're getting attention that makes them nervous or uncomfortable, so there's a whole host of psychological issues that you have to deal with, but you know, I'd much rather deal with a size 30 jeans than deal with high cholesterol or heart disease. In my line of work, having a smaller brain just doesn't work for me. Dr Daniel Amen:	Thank you for your question. 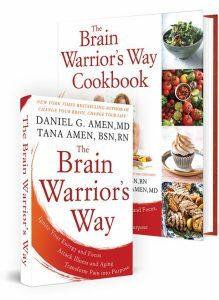 Dr Daniel Amen:	Thank you, what is your question? Pat:	Hi Dr. Amen, my name is Pat, and I want to thank you for motivating me today, and I'd like to ask you a question regarding neurobics. Neurobics is the strengthening activity for your brain, and they taught that primarily for seniors, and I was wondering ... You talked about meditation and relaxation and how good that is also for the brain, would you say a word on neurobics? Dr Daniel Amen:	That's a great question. As we use our brain, our brain actually becomes stronger. With a stronger brain, you have more control over your cravings. People watch the most TV, so that'd be the opposite of working out your brain, right? Because Television is a no-brain activity. Dr Daniel Amen:	Unless, of course, you're watching public television. Dr Daniel Amen:	I mean, it's public television that gives you Sesame Street, and Mr. Rogers, and all these great specials, and it engages your mind, but most television is thoughtless. If you're not working out your brain, as we saw in the show, your brain becomes less and less and less active. I always tell people, if you want to love 10 pounds, learn something new! Why? Because as you increase the activity in your brain ... What a lot people don't know is your brain uses 20 to 30% of the calories that you consume. There is no other organ in your body that is as active or busy as your brain, so as you keep it healthy, you actually burn more calories! And if you engage your brain in different ways, which is really critical. Just like working out, you shouldn't do the same muscle all the time, people who only do crossword puzzles, just like their right bicep is strong and everything else is weak. So, you need to do language things, like crossword puzzles, brand new studies say that juggling actually helps the part of the brain that dies early in Alzheimer's disease, your parietal lobes, dancing is a great exercise if you learn new dance steps, because it's to music, it works out your cerebellum and you memory centers. Meditation, we did this wonderful study, no just replicated at the University of Pennsylvania, that doing a very simple 12 minute meditation boosts your memory. So, memory, frontal lobes ... You want to learn something new every single day of your life, because with that, you are strengthening your brain. Pat:	And does that also occur at different stages in different amounts, for example at the elderly, can they improve their brains at a higher percent rate than perhaps a younger person, or is it exactly the same? Dr Daniel Amen:	It doesn't matter what age you are. When you're young, of course you should be learning, and we have a lot of things in place to help kids learn. The problem is that after people get out of school, they don't really think of putting new learning as a regular part of their routine. The reason it's really great for seniors is you can just see the curve of their brains go down and down and down, but what's fascinating to me, we just scanned not too long ago a friend of mine, her name is Doris Rapp. Doris is a very famous pediatric allergist, and she's taught me a lot about food allergies. She's like in her 80s, and young and works out and plays tennis and is always learning new things. I had her recently lecture to my doctors, and when I looked at her 80-something brain, it was stunningly beautiful. It's a direct reflection of how she has taken care of it all these years. My moms another great example. My mom, at 78, has one of the most beautiful brains on the planet. She plays gold at a very high level, she's actively involved in all of her kid's lives. She's learning new things all the time, and besides the pizza which she does on holidays, she generally eats really well. If she goes five pounds over what she likes, she loses it! Why? Because it's important to her. How you live your life moment by moment is making your brain better, or it's making your brain worse. Engaging it in new learning's absolutely critical. Pat:	Thank you, Dr. Amen. Linda:	Good afternoon, my name's Linda. I have high blood sugar issues with type Two diabetes, and inflammation issues with rheumatoid arthritis, and the two seem to battle each other, at least I think they do. Maybe you can clarify that. How can eating better help one or the other, or both? 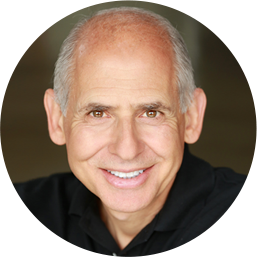 Dr Daniel Amen:	The two issues aren't battling each other, so I'd just go that's an ant. I need to get rid of that thought. What I need to do is I need to decrease inflammation, and get my blood sugar under control. Because both of them are an nightmare for your health and your longevity. We talked about ways to decrease your blood sugar, which means you have to eat frequently. If you saw my diet, I actually eat six times a day! I'm always eating something, but I'm really thoughtful about what I'm eating. Plus, fish oil, boosting the omega three fatty acids in your body, does a really good job at decreasing inflammation. We have a new test that we're doing in our office where we actually measure the fatty acid level in your blood, and I have to tell you. I have been routinely horrified by the level of omega three fatty acids in my patients brains and in many of my employee brains! My niece, who I love, she's in the top 10 of people I love in the whole world, she's pregnant. We do her fatty acid level, and it's horrible! I chewed her out and made sure, "Fish oil for you!" Because it helps the baby's brain, and otherwise it's setting her up for problems. We talked about calorie restriction decreases inflammation, also helps your diabetes. The supplement alpha lipoic acid has A-level scientific evidence that it helps to balance blood sugar. A-level scientific evidence means really good, solid evidence that it can help. So, exercise, fish oil, eating multiple times a day, knowing your important numbers. Say you have a low vitamin D level, well that promotes diabetes. That promotes inflammation. It's like, how easy is that? Right? It's not the same thing as taking a multiple vitamin. Because in a multiple vitamin, there's 400 international units of vitamin D. What I required to get my level to normal was 6000 international units a day! Some people go, "But if you take too much, is that a problem?" That's why you got to get your level checked. My whole work on brain imaging is based on this very simple concept. How the heck would I ever know about what's going on in your brain, if I didn't look? How would I ever know about your vitamin D level, or your omega three fatty acid level if I didn't look? Using some of the scans and the lab tests, they're critical for us to really understand what's going on with you, so we can better target treatment and help, so you don't have to live with rheumatoid arthritis, and you don't have to live with diabetes. Or, if you do, because if you have diabetes, it's the time to be dead serious about getting it under control. I lived with a father-in-law for 20 years who just never got it seriously. Just didn't get it. Kept sneaking the donuts, and sneaking the pastries, and then he lost one leg, and then he lost another leg, and then he lost his sight, and then he got dementia, and I'm just like, "John! Come on!" A little anxiety is good. Sandy:	My name's Sandy. Can a person be sensitive to certain vitamins or supplements? My blood test results do show low vitamin D and B, and I take what the doctor prescribed, and every time I get dizzy, and I have the nausea. When I stop, it goes away. Dr Daniel Amen:	You know, that's a very good question. Can people be sensitive to supplements, and the answer's absolutely yes! But, it means that you then try different brands. Because it could be not the supplement itself, because obviously if your vitamin D level is low, you need more vitamin D. Now, there are other ways to get it, but I would say the problem is in not with vitamin D, it's with whatever is in the other mixture to make the tablet or capsule into what it is. Sandy:	How do you find that balance between too much or too little? Dr Daniel Amen:	Blood tests. The question is how do you find the balance between too much or too little. One of the first things that you can do to boost your vitamin D level naturally is take a walk for 15 minutes in the sun, every day, without sunscreen. How simple is that? That gives you 10,000 units! Wear a sleeveless shirt, you want to expose, with being rational, as much skin as you can. Just 15 minutes! 10,000 units for 15 minutes! So that's clearly one way to do it. The other very interesting point that comes to mind when you ask this question is when supplements help to balance what's going on in your body, what they often do is they're balancing it at the same time you're taking medicine. Now, the medicine is too strong. For example, if you had diabetes, and now you start taking alpha lipoic acid and you go "Well I'm dizzy when I take it." It's because it's now helped stabilize your blood sugar, and on top of that, the insulin which is usually doing its thing, now it's doing too much of a thing, and it can be a real problem. When you go on supplements, it's very important to work with a medical professional who really understands how to blend nutritional supplements with medication. Sandy:	Makes sense, thank you.